Heathrow Express has launched a new ticket pricing structure that includes a £6.99 single fare for advance bookings made between three and six months in advance. 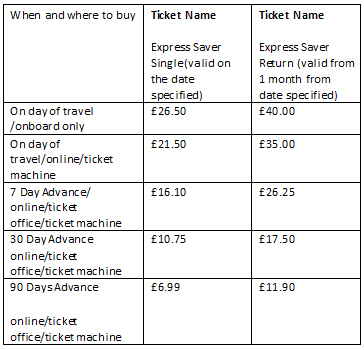 The advance fare is some 74 per cent cheaper than the £26.50 cost of buying an Express Saver Single ticket onboard the train itself on the day of travel. 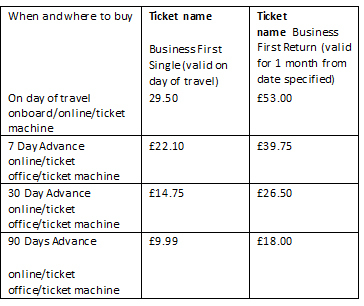 A Business First ticket bought at least 90 days in advance of travel costs £9.99, or £18.00 for a return, compared to £29.50/£53.00 if bought on the train itself. Prices are staggered into five categories of ascending cost – those bought at least 90 days in advance; those bought at least 30 days in advance; those bought at least seven days in advance; those bought on the day of travel online or from a ticket machine; and those bought on the day of travel on the train itself. Earlier this year, Heathrow Express installed platform gap-fillers at its stations to reduce the risk of passenger accidents (see news, April 30).